For political observers, these announcements did not come as a complete surprise. During the electoral campaign, President Duterte already indicated that he might adopt a more critical stance vis-à-vis the mining industry. 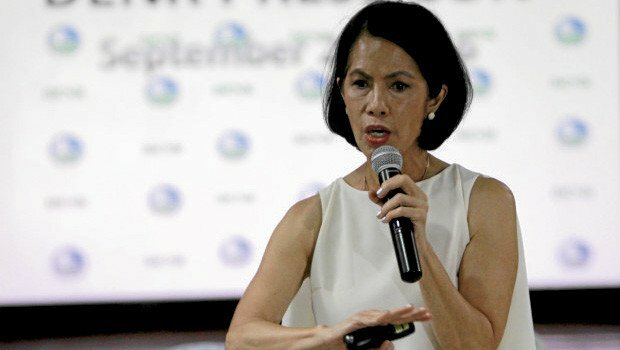 These indications were confirmed when the president offered the post of Environment Secretary to Gina Lopez, a long-time environmental activist. With the backing of large portions of civil society and a growing crowd of Facebook followers, the secretary has now unleashed a war against the mining industry in the name of ‘social justice’. So far, this activist agenda seems to align neatly with the president’s populist appeal for ‘change’, who has consistently spoken out in support of Ms. Lopez. Yet, even when adopting a longer-term view, the announced clampdown is not all that surprising. In the 1980s, the breakdown of the authoritarian regime of Ferdinand Marcos (1965-1986) coincided with the demise of a once thriving mining industry. Ever since, successive democratic governments have tried to revive the industry, and the Philippine Mining Act of 1995 is often interpreted as signaling a shift towards a ‘neoliberal mining regime’ that caters to the interests of foreign mining investors. The Arroyo administration (2001-2010) in particular was a staunch supporter of mining, and presided over a massive expansion of mining concessions. As of late 2016, according to the Mines and Geosciences Bureau, the country had 40 operating large-scale metallic mines, and approximately 750,000 hectares of surface area are now covered by an active mining permit. The militarization and environmental scandals that have accompanied this expansion has fueled widespread resistance to mining, not only by civil society groups such as Alyansa Tigil Mina (Alliance Against Mining), but also by local indigenous communities, and in some cases even by local governments and communist rebels. In reality, with the notable exception of the Arroyo regime, government support for mining has always been half-hearted. While the Philippines were famously described as a ‘cacique democracy’ ruled by a landed oligarchy, modernization and urbanization led to the emergence of a more diversified elite, and an equally diverse civil society. In an attempt to accommodate this broadening range of societal interests, congress has put in place an exceedingly complex legal infrastructure. The mining industry is a case in point: in addition to the Mining Act of 1995, mining operations are now subject to an entire range of laws in the fields of, for example, environmental protection, labor rights, indigenous rights and local government. Successive governments have also left their imprint on the mining industry in the form of executive and administrative orders. For example, in an uneasy attempt to balance the interests of a powerful mining lobby and a growing group of anti-mining activists, the Aquino administration (2010-2016) issued Executive Order 79, thereby further complicating an already messy situation. To be sure, Ms. Lopez’ announcements are still a radical move, and earlier administrations were at least rhetorically committed to supporting the mining industry. On the other hand, they are also a logical outcome of a growing anti-mining sentiment that now seems to have entered the political mainstream; and follow a much longer series of apparently incoherent government actions in the domain of mineral resource governance. The resulting regulatory uncertainty has scared away many (potential) investors, so that the Philippines, despite its abundant mineral wealth, has largely missed out on the mining boom of recent decades. Or has it? 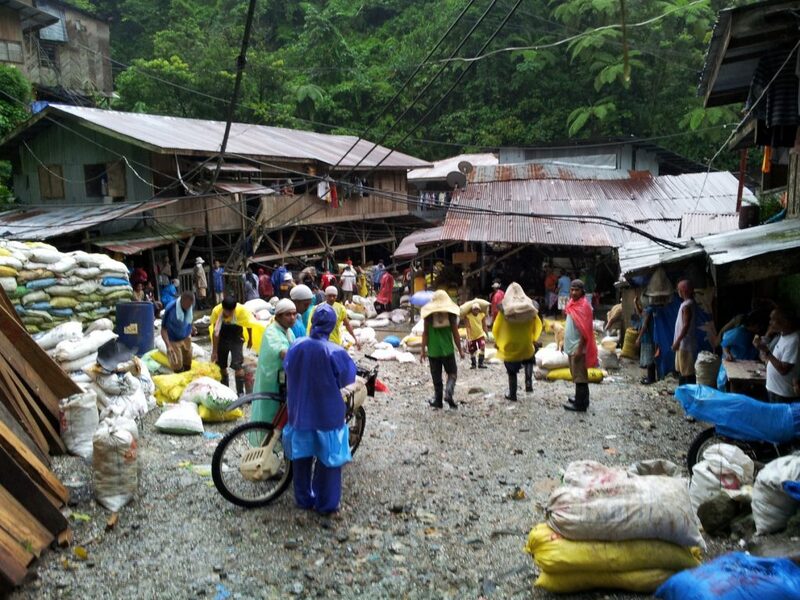 Undoubtedly the most peculiar aspect of Philippine mining is its massive informal mining economy. While estimates are notoriously unreliable, anywhere between 200,000 and 500,000 informal miners may now be producing over half of the country’s gold –as well as increasing amounts of silver, copper, coal and nickel– most of which is then smuggled to China. During my field research, I encountered purportedly small-scale mining operations that made use of sophisticated mining equipment and techniques such as carbon-in-pulp processing, and that employed not just hundreds of workers, but in some cases even geologists, chemists and engineers. This situation can only be fully understood with reference to broader societal dynamics. Nearing the end of the Marcos regime in the early 1980s, amidst growing political and economic upheaval, a growing number of retrenched mine workers found their way into small-scale mining. They were soon joined by their former superiors (particularly engineers) who, together with local merchant elites, provided the technical knowhow and capital necessary for the subsequent transformation of the sector. Particularly since the mid-2000s, this ‘indigenous’ mining sector has entered a new phase, marked by a growing involvement of Chinese investors, who operate through established networks of Sino-Filipino businessmen. Australia Mining Diwalwal. Photo by Boris Verbrugge. What is important here is that despite sporadic government promises to tackle ‘illegal mining’, the sector has largely been left untouched. While this is partly a question of lacking government capacity, informal mining has also become part of an elite pact between national- and local-level elites. Over the years, informal mining and local politics have become so intimately entwined that it is very difficult for national government politicians to ‘go against the grain’, even if they were genuinely committed to doing so. In mining regions across the country, purportedly ‘illegal’ miners now operate with the blessing of local ‘miner-politicians’ who are not only personally involved, but may also collect ‘campaign contributions’ from miners, and may even provide them with some form of permit. While the national government continues to brand these operations as ‘illegal’, distinctions between formal and informal mining have become increasingly blurred on the ground. Nowhere in the Philippines is this phenomenon more apparent than in southeastern Mindanao, the home region of president Duterte. According to some, the president has even received campaign donations from mining bigwigs, although these remain speculative claims. Given the interests vested in the informal mining economy, as well as the simple fact that hundreds of thousands of poor Filipinos depend on it for their everyday survival, it is very unlikely that a hard-headed environmentalist like Gina Lopez, let alone a populist president, will try to change any of this. Instead, if Ms. Lopez announcements indeed spell the beginning of a (selective) clampdown on large-scale mining, it might very well create room for a further expansion of informal mining –just like it did in the 1980s. At least some of Mr. Duterte’s allies –which now include the Chinese– would not be too unhappy about this.